My mother passed away in November 2017, and as Christmas approaches, I’m filled with memories of her, of how she lived her life, and of how much she loved her children. One of my favorite memories is from my early childhood. My mother and father attended a Methodist church at the time, and at Christmas they always put a manger scene beneath our Christmas tree. My father made the wooden stall himself as he was an artist and loved working with wood. My mother would drive an hour to Indianapolis every Christmas season and buy one or two figurines to fill the manger scene with. But my mother did something very unusual when she purchased the baby Jesus. She bought three of them, one for each of her children. 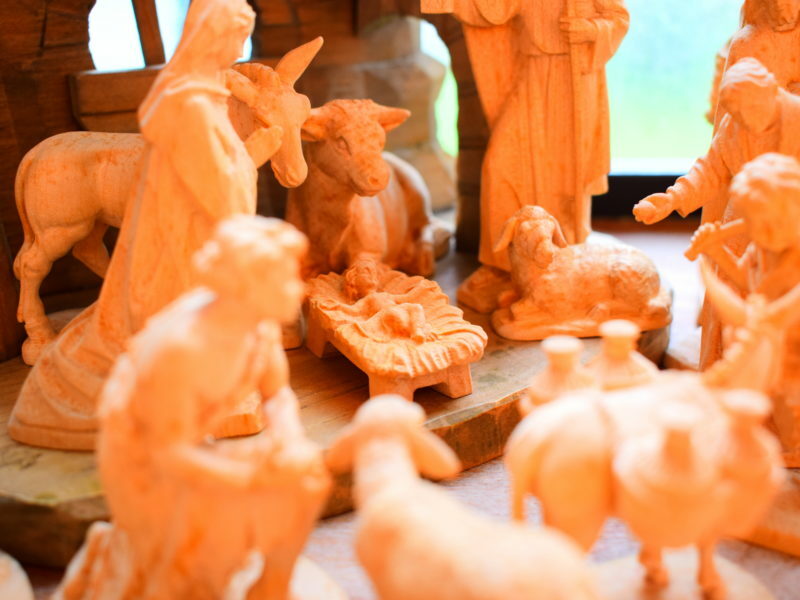 Our manger scene had Mary and Joseph, angels, cows and sheep, three wise men and a shepherd or two, and in the very center there were the three baby Jesus figurines lying in little beds of hay. I don’t know where she got that idea from—maybe it was just so the three of us wouldn’t fight over Jesus. But to me, it was a prophetic act. It was as if she was aware that each of her kids would need their own personal Savior. Every Christmas we would re-enact the story of Jesus’ birth with the figurines and we’d put those three baby Jesus’ in their beds. My parents “worked” that story into their children’s hearts and minds to the point that all three of us were born again early in life. We are all three very strong Christians today and serving the Lord in our respective callings. I still have my baby Jesus figurine in his bed and though it is chipped and aged, it remains a sweet reminder to me of my parents’ love toward me. It’s interesting how my mom’s decision to put three baby Jesus figurines in a manger can have such a long lasting effect on my life. It makes me consider the effects my decisions can have on those around me, including my own children. I’m asking the Lord this Christmas to help me not miss opportunities to make a lasting impact on my family and friends, and even strangers. I’ll be doing so in my mother’s memory.